Crank your success up to 11 ! Google, Bing, Yahoo! and other search engines can play a crucial role in driving loads of highly targeted visitors to your company's Website. But unless your site scores a prominent position in the search engine results, those visitors are going to be heading to your competitors' sites instead. In simple terms, search engine marketing (SEM) is about increasing a site's visibility in the search engines. The greater the visibility, the better the position in the results and the more traffic a site receives. The reality is that getting top ranking in the search engines is anything but easy. One factor is that many of your competitors are trying to do the same thing you are. They're all vying for the top spots in Google, the ones that gets the bulk of the clicks. Another factor is that the rules keep changing. Google makes hundreds of modifications to their search algorithm every year. Many of these changes are minor while others have had a profound impact on the rankings of existing Websites. So what is a small business to do? To begin with, you must understand that ranking well in the search engines is a process that can take time. While we have been able to secure top rankings for some clients in less than a month, it can take six months or more depending on the level of competition. Next, choose an experienced firm that utilizes tried and true "white hat" techniques endorsed by the search engines themselves. Put your trust in experts who keep up with the latest changes and will create a search engine optimization (SEO) plan that takes into consideration the unique facets of your business. Unfortunately, there are many fly-by-night companies who use automated shortcuts and deceptive practices that can actually harm your site's relationship with the search engines. Cheap one-size-fits-all SEO packages are rarely worthwhile and will do little or nothing to improve your rankings in the long term. One of the biggest changes ever made by the search engines is the addition of "local listings" in search results that reference traditional brick and mortar (offline) businesses. For example, a search for "dentists" will provide the searcher with a map and a list of up to seven dentists in his or her local area. These local listings dominate the search results, so if your company relies on attracting local customers it is imperative that yours be one of the first seven businesses listed there. For most offline businesses, ranking well in local search should be an important part of your SEO plan. 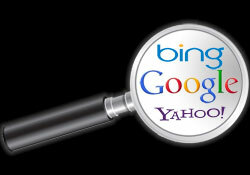 Each of the three largest search engines — Google, Bing, and Yahoo! — have implemented local search listings in their results, and none of them should be ignored. Once you've implemented a solid SEO plan and you're waiting for traffic to flow to your site, you may consider using paid advertising in the search engines to start getting targeted visitors today. Using a pay-per-click (PPC) model, Google and other search engines offer prominant positioning within their results pages. These paid ads are usually displayed at the top of the page (before the other listings) and along the right side. PPC ads can be effective at generating targeted traffic but they can also be rather expensive depending on competition and other factors. An agency skilled in the nuances of PPC advertising can cut your costs dramatically by continually testing and refining your ad campaigns. 360 Degree Digital will create an effective SEO plan tailored specifically to your business. We work stricly within the guidelines of the search engines in order to build long-term stability and the best possible ranking on the results pages. When applicable, we incorporate local listings into our SEO plan and use best practices to ensure top positioning. 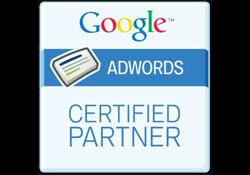 We're also Google AdWords Certified, so you can be assured that we can effectively manage your PPC campaigns in order to return the optimum ROI from your advertising dollars. Call us today at 623-748-0360 to learn more about our SEO/SEM services and how you can get a free $100 credit to try out Google Adwords PPC marketing! Design and contents © Copyright 2012 by 360 Degree Digital.